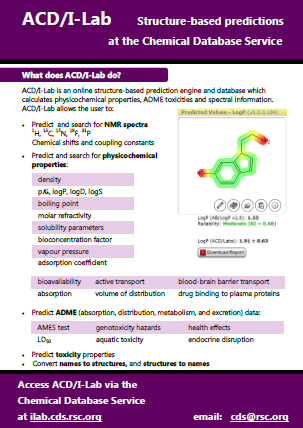 ACD/I-Lab is an online structure-based prediction engine which calculates physicochemical properties and NMR spectral information. Databases of many properties and spectra can also be searched. Watch an introductory video to ACD/I-Lab here.